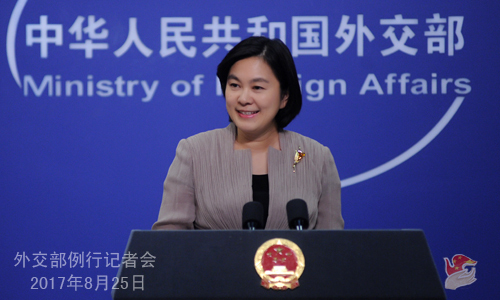 China has firmly rejected the unilateral sanctions the US government has imposed on Chinese companies to economically isolate North Korea, Foreign Ministry spokesman Lu Kang said on Wednesday. “We firmly oppose the long arm of the jurisdiction against Chinese companies and individuals according to their legislation because it is wrong,” Lu told a news conference after it was revealed that the US sanctioned four companies based in China that have trade relations with Korea From the north. According to the US Treasury Department, between January 2013 and August 2017, three of these companies exported goods worth $ 650 million to North Korea and imported goods worth $ 100 million from that country. Lu Kang said that if China confirms that any of these companies or individuals “are involved in activities that violate Chinese law or international obligations,” it will strictly settle its own rules. He also asked those who wanted to cooperate with Beijing “in a constructive way” and had solid evidence in this respect, to share with China to solve the problem. Lu commented that the US knows China’s position on this issue and has claimed that, as a permanent member of the UN Security Council, the Asian giant has always strictly implemented all North Korea-related sanctions, but opposes those sanctions. some countries. Donald Trump’s government announced on Tuesday sanctions against North Korean companies and Chinese commercial companies in a new attempt to economically isolate the regime of Kim Jong-un to put an end to its nuclear development. The sanctions came just a day after the US president put North Korea back on the list of “sponsors of terrorism,” which had come out nearly a decade ago and included Iran, Syria, and Sudan. The goal of the sanctions is to impose “greater economic pressure” on North Korea to make it difficult for Kim Jong-un regime to access key entities within the transportation industry, according to Treasury Secretary Steven Mnuchin. China’s government campaign to move the coal-fired heating system through millions of homes to less polluting heating and wind help has made Beijing sky win the rare shade of blue but has generated a national energy crisis that threatens to affect the market of natural gas. Airborne particle levels in Beijing in November were 54% lower than in the same month in 2016. Blue skies were dominant during the period, although heating systems were normally switched on from day 15, which makes the shades of gray dominate the horizon of the country’s capital. The change, however, has generated problems. Many cities have gone unheated even with temperatures below zero. The reason was an inadequate completion of the national pollution control program, which established that 5.5 million families in the north of the country would no longer use coal between 2013 and 2017 to use systems powered by natural gas or electricity. As the campaign ended this winter, many local governments tried to meet last-minute goals to avoid punishment. In this way, works were done quickly, causing gas supply problems in many homes. “In my house, we could only use the gas every other day, and on the days when we were allowed to turn on the system, we could only turn on the heating for a few hours at night,” Efe Lu Yanfeng, a teacher in the small town of Dancheng. The problem also sparked family discussions, according to Lu. “My grandmother felt that the lack of heating was my mother’s fault, that she did not want to turn on the system to save money,” he said. For her, the authorities did not plan the move well, a reminder of the Great Leap Forward, when officials from across China, rushing to meet steelmaking targets, left agriculture aside. The lack of food has killed millions of people across the country. Of the 5.5 million families that switched the heating system, 4 million made the switch this winter, which shows the delay in implementing the national program, which started four years ago. The policy not only had effects among the residents of northern China but also on the world market for natural gas, which saw an unexpected 40% increase in imports of the country in 2017. Exported gas prices, analysts say, have nearly doubled this year, surpassing $ 10 per BTU. If it were not for China, the forecast was for a reduction in global demand and falling prices. Authorities in China have acknowledged that 426,000 families in 30 cities suffered from gas supply problems during the winter. Therefore, the use of coal was authorized. In the last days of December, because of the temporary return to coal, the air pollution rates rose again, albeit at levels lower than those recorded in previous years. 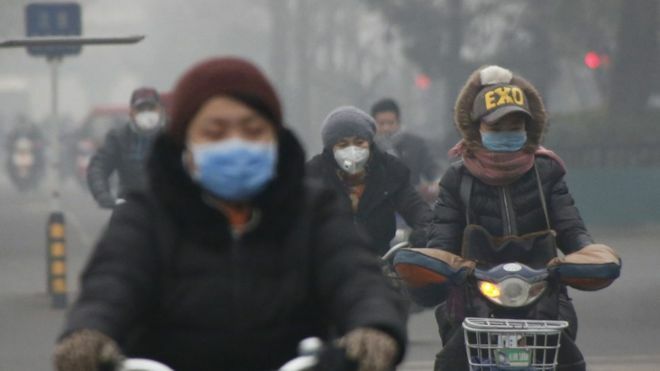 In a China where fighting pollution has become a national priority, many citizens in the winter seem doomed to having to choose between smoging the cities or going cold, at least in this early transition of systems. Ma Zhiquin, a 60-year-old housewife, and mother of Lu prefer clean air, despite being irritated by the cold in the winter. “So children get sick less often, and the cold can always get over with more clothes,” he said. 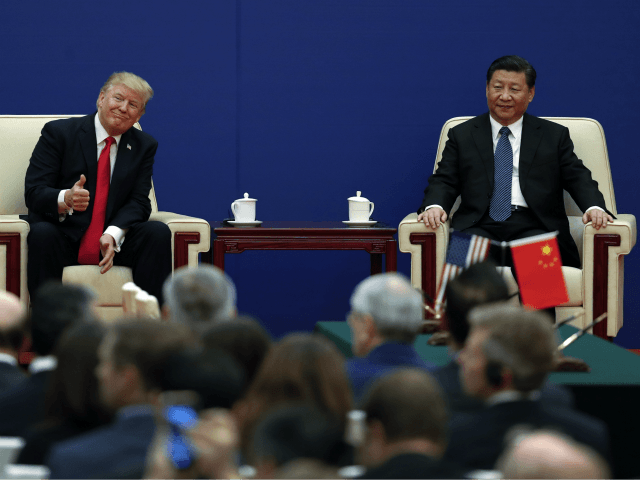 US President Donald Trump has warned Chinese President Xi Jinping that the US trade deficit with the Chinese continues to grow and that this situation is not sustainable for the country’s economy. The White House said Trump and Xi had been on the phone Monday night in Washington when it was Tuesday in Beijing. The two also spoke about diplomatic progress on the conflict in the region of the Korean peninsula. “President Trump expressed his disappointment that the US trade deficit with China continued to grow, and made it clear that this situation is not sustainable,” the White House said. China’s trade surplus with the United States grew 13 percent in 2017, the first year of Trump’s government to reach $ 288 billion, according to official data released by Beijing. The US Commerce Department, however, reported that the negative trade balance between the two countries for the Americans rose to $ 344.4 billion, still missing data for December. Trump sees the trade deficit as a sign of economic fragility and blamed deals with other countries signed by its predecessors. For him, these pacts are the cause of job losses in the American manufacturing sector. In the campaign, Trump threatened to impose tariffs of up to 45% on Chinese products. In addition, he accused China of manipulating the exchange rate but did not act in that direction, when evaluating that first, it should approach Xi to solve the crisis with North Korea. Trump and Xi also talked about the dialogue between the Koreas, expressing his confidence that “could bring about a change in the destructive behavior of North Korea,” the White House said. “President Trump has pledged to maintain the maximum pressure campaign led by the United States to force North Korea to commit to denuclearization,” he added. Chinese official media said that Xi reinforced in the lead that all parties should join efforts to seize the advances in the Korean peninsula, creating the necessary conditions for the resumption of the diplomatic negotiations in the region. On trade, Xi highlighted the economic and trade cooperation between the two countries, giving concrete benefits to both parties. For him, the US and China should adopt constructive methods to solve the differences in the sector, through the greater openness of their markets. In her famous 1992 study of networked relationships in entrepreneurial settings, entrepreneurship professor Andrea Larson (University of Virginia), observed how network form of governance highlight ‘reputation, trust, reciprocity and mutual interdependence, and how social control is one of the possible governance mechanisms of network organizational forms. As it is well-known, networks are a governance mechanism that provides an alternative to both markets and hierarchies. While markets – at least in their most abstract conceptualization – are limited to the private sector, and hierarchies are confined to the public sector, networks span across the public, private, and voluntary sectors. If hierarchies are governed through administrative orders, and markets are coordinated through competition and prices, networks are governed through mechanisms based on trust. Professor Larson’s words were echoed during the current session of the National People’s Congress by Jian Qin (简勤) and Li Xia (李霞 ), respectively the CEO of China Mobile Guangdong, and the deputy director of Anhui Academy of Social Sciences. The market economy is an economy based on trust, and the social credit system is an important systemic arrangement of the market economy. The construction of a credit reporting system is an important component of the construction of the national credit information system, and accelerating legislation on credit reporting is necessary. Jian Qin observed how the social credit system still lacks its ‘backbone’, and filed a Legislative Draft on Credit Reporting. In his views, the developmental needs of the social credit system and big data can best be served by a national level law specifying how personal information can be collected, how big data and credit information are to be managed, exchanged across platforms, and how the personal information of citizens is to be protected. In fact, Jian explained, legislative guarantees on the protection of the rights and interests of the subjects of credit information, on the privacy of citizens and on information security are still lacking. The theme of trust was explicitly raised by Li Xia, who observed how trust is one of the twelve socialist core values. This value is important as nowadays the indicators of social trust show a negative trend, and social governance and governing capability should be strengthened on the basis of social trust. Li Xia proposed to construct a social credit system through the strengthening of relevant mechanisms and systems, such as a mechanism to share social credit information. Li suggested adopting concrete measures to provide guidance and constraints to users, educating them in the good practices relevant to the social credit system. Consumers, she suggested, should gain a greater awareness of self-regulation, and make reasonable and lawful consumption choices, through the guidance of the public opinion, and a set of constraints provided by the government. At the same time, social organizations can be mobilized to contribute in the protection of relevant markets. …so what are political commentators talking about, when they discuss the meaning of “political life within the Party“? This is only one of the concepts of life that exist in the political landscape created by the CPC Constitution. The 1945 version of the CPC Constitution mentioned the life of the Party (dangde shenghuo), as well as economic life (jingji shenghuo) and cultural life (wenhua shenghuo). To these, later versions of the CPC Constitution added: “material life” (wuzhi shenghuo), the democratic life of the nation, the life of society, the political life of the nation, the life of the people, and the life of the masses. Political life within the Party is the main platform where Party organizations educate and manage Party members, and where Party members practice the nature of the Party (dangxing). In a broad sense, political life within the Party encompasses all the political activities occurring within the Party, including the Party’s organizational system, the Party’s culture, political relations within the Party, systems within the Party etc. In a narrower sense, [political life] mainly refers to ideological and cultural activities within the Party, to leadership and decision-making activities, to relations and to systems within the Party, to state of affairs and conducts within the Party etc. 1. Upholding the political line and the ideological line of the Party. 2. Upholding collective leadership and opposing arbitrary decisions by individuals. 3. Protecting the unity of the Party, and strictly observing Party discipline. 4. Upholding the nature of the Party (dangxing) and eradicating factionalism. 5. One must speak the truth, and walk the talk. 6. Developing democracy inside of the Party, and correctly dealing with different opinions. 7. Guaranteeing that the rights of Party members are not infringed upon. 8. Elections must fully express the will of electors. 9. Struggling with wrong trends, evil persons, and evil actions. 10. Correctly dealing with comrades who commit mistakes. 11. Accepting supervision by the Party and the masses, not allowing special privileges. 12. Diligently studying and becoming both red and expert. This post is written in response to Jean Christopher Mittelstaedt’s criticism of the paper I presented at the 2015 European China Law Studies Association Conference. Jean Christopher Mittelstaedt works with Stéphanie Balme at SciencesPo, in Paris. The criticism I received from him is, thus far, the best and most sophisticated criticism I have ever received. I am not posting the response he sent me. Those who are interested in the question of how we should approach Chinese law may want to get in touch to explore possible ways to start a broader public conversation on this and similar points. Here is, however, a summary of what Christopher wrote. Among others, my paper holds that principles in Western law are equivalent to “原则” in Chinese law, and therefore “Seeking Truth from Facts” functions as a legal principle. Christopher’s criticism takes aim at the question of what a “principle” and what a “原则” are, according to the paper. To understand a language, he writes, we have to live within it. Language posits us within a worldview and determines our horizon. Our horizon, however, expands when we enter a foreign language. Whenever we acquire a command of one or more foreign languages, we acquire the ability to live in between two or more different worlds, without negating the worldview our mother tongue has bestowed on us. The most interesting question, here, would be what happened to the speaker’s worldview, what does it mean to our use of language, which semantic detours and how many of them the speaker has to take when the general consensus prohibits the speaker or writer to use his true mother tongue. But, this question relates to the philosophy of language more than to anything else. When we speak two or more languages, we find ourselves entangled in the problem of interpretation: when we translate from language A to language B, we automatically add an additional layer of interpretation to the meaning B has in the target language. This is a general problem, the critique says, evident in my acceptance of what a “principle” is, and in my projecting the meaning of “principle” onto yuanze 原则. “Principle” does not correspond to the meaning of yuanze 原则. yuanze 原则 was born within a specific horizon of meaning, one that has to be studied and understood. The paper I wrote criticizes the brutalization of concepts in Chinese law, the separation of concepts from the contexts that give them meaning but, the same brutalization is evident in my analysis of what “Seeking Truth from Facts mean”. (2) explaining the word, concept etc. in light of a meaning that originates from the context within which the interpreter operates; or a meaning the interpreter attributes to those who use the explanandum (= thing to be explained) in China is defensible on cognitive grounds only. This statement says more about the interpreter, and perhaps about the interpretive consensus within which the interpreter operates than it does about the explanandum. If this point is accepted, then the question remains of why I wrote a paper where paragraph 2 bends back upon itself. Differently stated: why does paragraph 2 tells us a lot about how we Westerners look at principles but, it doesn’t say anything about how Chinese people conceive of yuanze 原则? 2. After all, I have stated that one of my goals is performing what I playfully call “psychoanalyses” of the concepts and “mechanisms” I encounter. In other words, if those who make, interpret and use the law are historical beings whose goals include solving problems as these problems exist in their societies, perhaps their statements could be read à la letter. (2) in theory, they may truly mean what they say but, they are in practice unable to achieve their purposes because they have adopted a different set of political principles would be problematic. (iii) it considers naivete, excessive simplicity (or complexity), incoherence (or coherence) between concepts and principles as given, and possible symptoms of political or legal dynamics that deserve a further exploration. It seems that the paper starts out on the right track but then, it derails as it falls back in the very same cognitive scheme it tries to avoid. Yet paragraphs 3 illustrates how “Seeking Truth from Facts” became among others a 原则 yuanze, and some of the meanings that those who use “Seeking Truth from Facts,” say “Seeking Truth from Facts” has. Isn’t this a contradiction I could have easily avoided? To give an adequate response to Christopher’s criticism, an explanation of how I conceived the paper, and a disclosure of the intentions I had in mind as I set out to write the paper are necessary. 3. 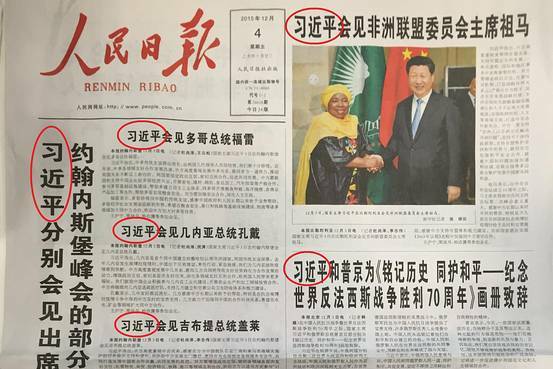 To explain how I conceived the paper, I should try to explain how I read Chinese texts. Here, the ‘how I read Chinese texts’ relates not to the techniques I have learned, and to those I am trying to develop (described here, in part). The ‘how I read’ in the context of this post relates to my perception of the text, and what kind of cognitive processes my perception of the text triggers. If “shishi qiushi” really contained no information, then it wouldn’t have been carved on the stone placed at the East Gate of the People’s University (=Renmin University of China). While reading and commenting on the CCP Statute at Law at the End of The Day, upon seeing 实事求是 I had a flashback of each one of the places, each one of the texts, and each one of the practices where I saw those words, that slogan, motto, chengyu, or principle carved, painted, written, spoken or acted upon. I understood that these artifacts, places, texts, actions etc. were somehow related because, not unlike polyhedra, Chinese tifas and 原则 do have different faces (meanings). Some yuanze perhaps are “weightier” than others, and while the yuanze can be ordered hierarchically, such an ordering is not the only possibility…. 4. The intentions I had in mind when I wrote the paper were many. I wanted to give an example of how we may try to understand the information conveyed to us by all those linguistic units we do not really understand. (If we truly understood them, we would not dismiss them as Communist blabber without at least attempting to perform an analysis of what their meaning may be). I wanted readers to understand how, in reality, principles are neither transcendent nor are they unchanging truths. Principles and 原则 are man-made. They are created in a specific historical, cultural, political, and social context in response to distinct needs，problems or wishes. That 原则 are man-made, and that principles are man-made too, given how they derive from experience and empirical observation, does not say anything as to whether one’s conception of law is consequentialist or deontological. What I found interesting about principles and 原则 is that both of them are ordinary words, words that have transcended the sphere of ordinary language to acquire a different kind of communicative function. I am trying to work outside of all the approaches, and techniques of China studies, with the goal to unveil the cognitive frameworks I have been using for the past ten or twelve years as a result of being (among many other things) a “China scholar”, and possibly understand where they work, and where they don’t. Trying to step out these cognitive frameworks is possible only if one becomes aware of them first. Again, one can become aware of these cognitive frameworks by listening nonjudgmentally and impartially to what the field says. Last, but not least, I wanted to stimulate a debate or at least a discussion on whether our current approaches are suited to our goals. As I have explained on at least three different occasions, and in different European cities, I felt that after spending twelve years working mostly on criminal justice, I was hitting a wall that limited my comprehension of what Chinese law is. This wall was a wall made by those ideas, approaches, and techniques that are more or less taken for granted, and therefore seldom interrogated. a) stating that a semantic equivalence between “principle” and “yuanze” exists, without performing a semantic or etymological analysis of “yuanze”. In fact, I wrote what “Seeking Truth from Facts” means, according to what some of those who use “Seeking Truth from Facts” say it means but, I never said what “yuanze” means, according to what those who write or talk about “yuanze” say it means. b) explaining what a principle means to “Westerners” by appealing to authority. In so doing, I projected an alleged and perhaps non-existent “Western view” of what a legal principle is on China, while at the same time decrying the use of Western standards to look at Chinese law. c) suggesting that principles are at the same time eternal unchanging truths and man-made, interpretive entities that do change over time.